The search giant, which has made a big splash with its PowerMeter software, is looking for companies with technology to get real-time data to homeowners without waiting for utilities to deploy smart meters. Google Inc. (NASDAQ: GOOG) wants its PowerMeter software to bring energy information to millions of homes across the country – but it doesn't want to wait for utilities to deploy smart meters to make that happen. Instead, the internet search giant is looking for technologies that can supply alternative ways to get that information to homeowners, Dan Reicher, director of climate change and energy initiatives for Google.org, told an audience in San Francisco on Monday. Google is looking toward two potential sources of home energy data, "either smart meters, or something you will clip onto your fuse box," Reicher said at a workshop on stimulus energy funding hosted by the California Clean Energy Fund. Just where Google is looking for such a device, Reicher wouldn't say. But there's little doubt that home energy monitoring startups are eager to show off what they've got that could meet Google's demand. Google's February announcement of PowerMeter, an iGoogle gadget that can track energy use at a household level, is likely to be seen as both an opportunity and a challenge to the startups with devices and software aimed at doing the same thing (see Google Gets Into Home Energy Management). Home energy monitoring and control equipment and software makers like Tendril Networks,Greenbox, Control4 and others are eager to see their technology taken up, whether in close partnership with utilities or through retail channels to homeowners. For the most part, it has been assumed that home energy data to feed those devices and services will come from the millions of smart meters now being installed by utilities across the country (see Smart Meter Installations Grow Nearly Fivefold and SCE Preps $1.63B Smart-Meter Program). Why? Well, smart meters are seen as a utility-funded way to give homeowners the data they'd need, without requiring them to spend their own money on systems. Add Google to that list. 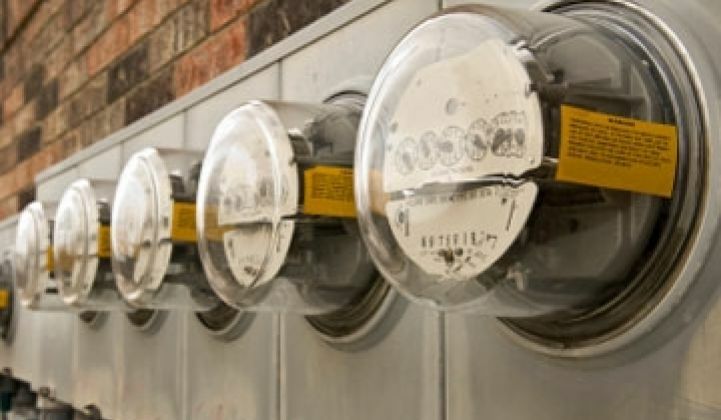 The company hopes to have PowerMeter available by year's end, and while it hasn't said which device manufacturers it is working with, it would need a partnership to roll out PowerMeter to the majority of homes that still lack smart meters. Tendril Networks has been named as one potential favorite. The Boulder, Colo.-based startup has deals with nearly 30 utilities to deploy its equipment and software, and has licensed its software to third-party developers (see Tendril Targets Meter Makers). Another possibility is The Energy Detective, a device from Charleston, S.C.-based Energy Inc. that's already available to consumers. But with a long list of companies seeking to provide similar technology, it may be too early to guess (see The Smart Home, Part II). Another reason to look for technology outside the smart meter, Reicher said Monday, was a concern that federal smart grid stimulus funding wouldn't be as kind to smart meter deployments as some had hoped. That's because tentative rules on how the Department of Energy would disburse $4.5 billion in smart grid grants set a $20 million cap on grants for commercial-scale smart grid projects – and most smart meter deployments to date have cost hundreds of millions, if not billions, of dollars (see Smart Grid Stimulus: What to Expect). Reicher said Monday that Google planned to make its concerns known in comments to the DOE this week. A $20 million cap on matching grants for commercial-scale projects wasn't likely to help support President Barack Obama's call to have 40 million smart meters installed across the country in the next four years, he said.